Happy to post my 100th recipe.Thanks a lot for all your support with encouraging comments, and suggestions. 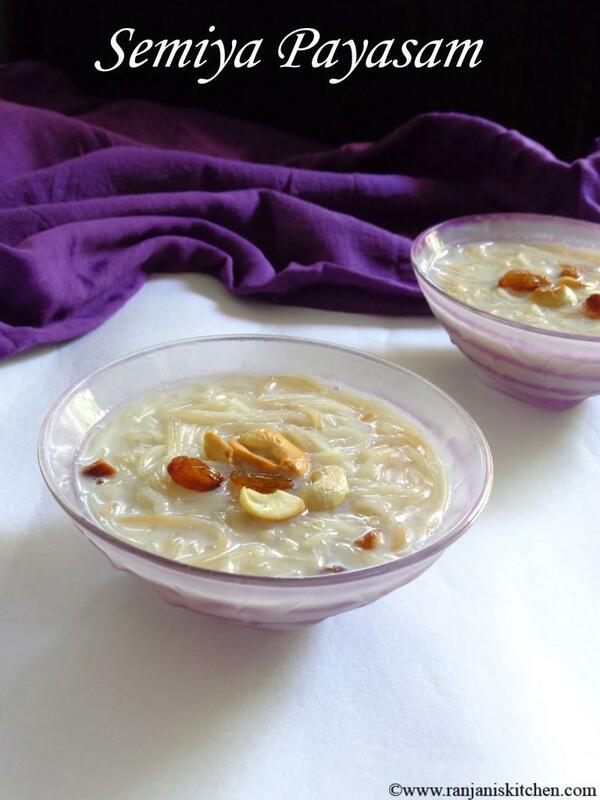 I wanna celebrate this with a traditional sweet 🙂 Payasam is a recipe filled with deliciousness and flavours of cardamom and nuts to serve for all occasions and virundhu in south Indian houses. 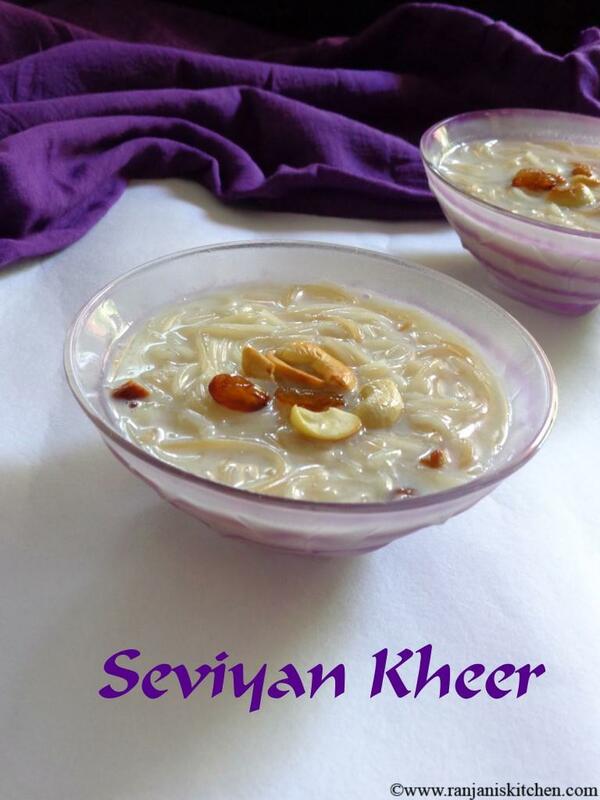 We can make variety of payasam with rava, dals etc., . I already posted Moong dal payasam. 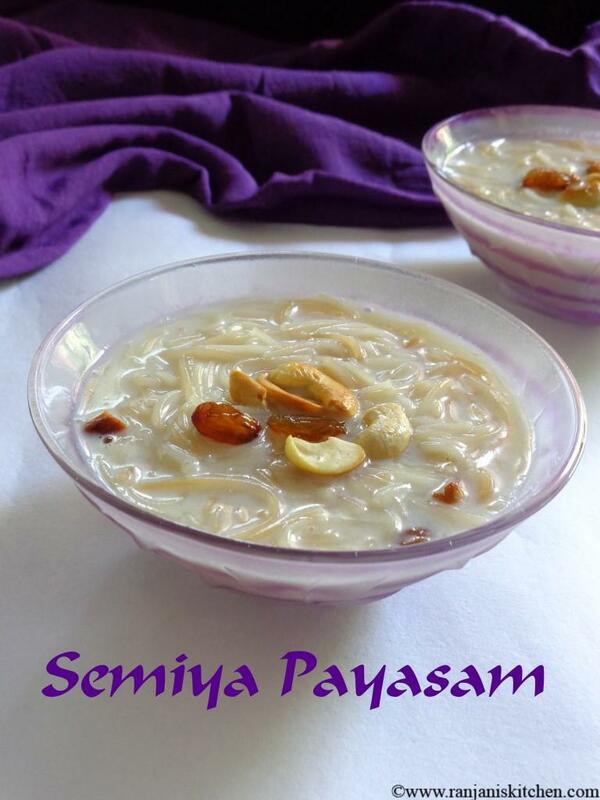 Here comes semiya payasam. 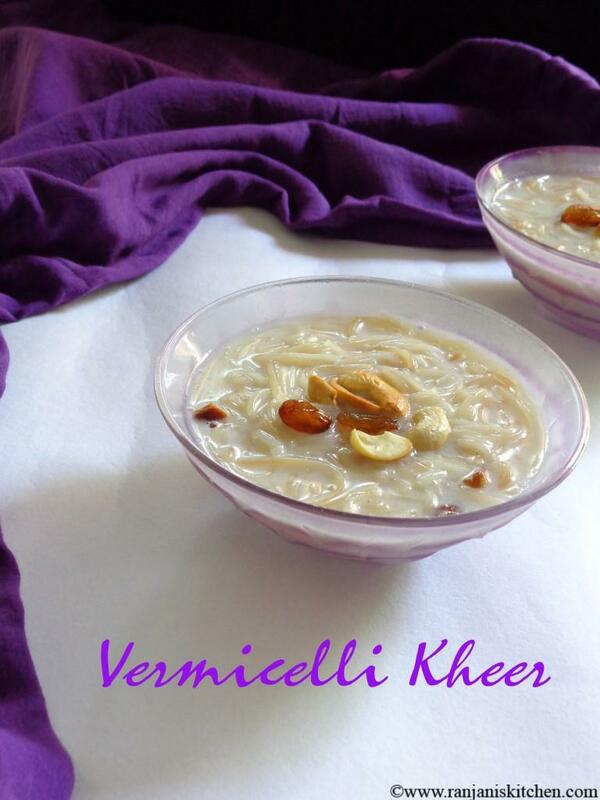 Its a simpler version of payasam you can improvise the recipe to make more tastier. Heat a pan and add a tsp of ghee to fry cashews and raisins till the cashews turns golden brown and raisins starts fluffs up. Drain the ghee and keep it in separate bowl. Now saute the vermicelli in the same pan with remaining ghee in low flame. No need to saute till brownish colour. It will not look good in payasam. After sauting cool down the semiya for some time. Heat water to rolling boil and add sauted semiya. Once the semiya gets half cooked add sugar and allow it to boil. Once the semiya done 90 percent add boiled milk , cardamom powder, roasted cashews and raisins. Stir well and cook for few mins and turn off the flame. I used Bambino Vermicelli(Long) so I broke the sticks to half for easy cooking. You can use any brand of semiya. Once the payasam gets thickened , you can add milk while serving. My suggestion is to use thick milk for creamy payasam. I used aavin’s full cream milk. Adjust the sugar level as you needed. You can add also add saffron to enhance the flavour. Do not mash the semiya by over cooking.